Recently I have felt the horror of being smeared with false accusations and blatant lies from a person who calls themselves an advocate for truth. The disgusting lies passed around by this person(s) has not only hurt me but also is destroying my fight to Free Assange. They have brought my character and desire to end the persecution of a fellow journalist into question. This not only saddens me but truly horrified me as to those who believe this disgusting attempt to destroy my fight. Please ask yourself what this person is gaining by hurting activism. I have been a loyal supporter and activist in this struggle to save the life of Wikileaks founder Julian Assange since early 2017. Anyone who has ever seen my Twitter feed can see the time and effort I have put into this. Not to mention 3 DC vigils and most recently coming to London yo stand watch at the embassy. I have invested many hours of time and energy, not to mention funds in trying to save this man’s life and preserve our free speech and free press rights. I think my efforts prove these disgusting falsehoods to be untrue. I refuse to let this divide and conquer scheme end my activism in this cause. The attacks on me are not uncommon to other supporters of Assange and are to be expected as more and more people join the campaign. May God she’d light on this attempt to end my status as a warrior of truth. Due to the recent accidental leak of information, we now know that there are charges against publisher and journalist, Julian Assange, as well as a grand jury indictment. Many hold the belief that extradition of Assange to the United States would be beneficial to both parties. However, this is not true. Since March of 2018, Assange’s voice has not been heard due to a gag order by President Moreno of Ecuador. For 8 months, he was in solitary confinement without access to internet, phones or visitors. Though the gag order has been essentially lightened, the protocol put in place is intended to strangle Assange. Why was this done by Ecuador who gave him political asylum? The Trump administration has pressured Ecuador to turn over Assange using a 5 billion dollar loan and military presence to coerce them. See here. I believe this comes also from the CIA. Under former CIA head, Mike Pompeo, the Vault7 files were released. At that time, Pompeo referred to Wikileaks and it’s founder as a “hostile intelligence agency” similar to Hamas. 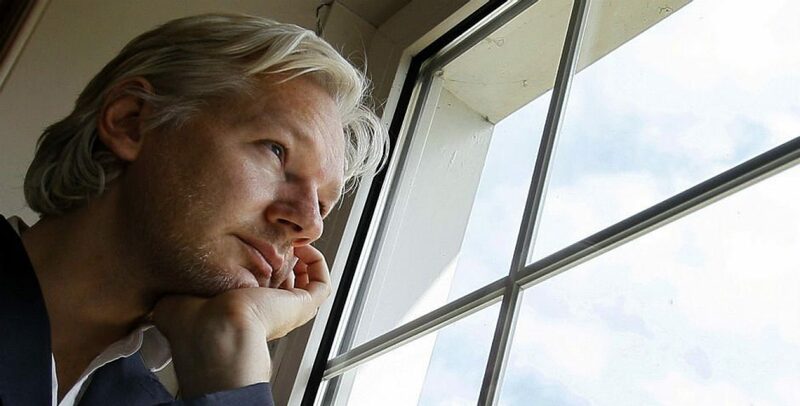 Regardless of why, being charged with espionage, government theft and coercion would lead to Assange spending the rest of his life in Gitmo or worse yet, receiving the death penalty for practicing free press and free speech. This sets a precedent for all independent journalists who publish the truth about corrupt government and corporations and violates the United States Constitution. It also violates international law. “The issue here is that it is highly unusual – unprecedented, even – for a foreign national (Assange is Australian) to be charged with espionage when he did not steal the information. He was simply provided the information, which he then made public. Assange says that he was just a journalist doing his job, and no administration has ever charged a journalist with espionage for doing his job. Second, this inadvertent disclosure confirmed that Assange has been charged in the Eastern District of Virginia – the so-called “Espionage Court.” That is just what many of us have feared. Remember, no national security defendant has ever been found not guilty in the Eastern District of Virginia. The Eastern District is also known as the “rocket docket” for the swiftness with which cases are heard and decided. Not ready to mount a defense? Need more time? Haven’t received all of your discovery? Tough luck. See you in court. In other words, Assange would face a kangaroo court already decided in the government’s favor. We cannot allow the extradition of Julian Assange period. We must protect our freedom of press and speech. We must fight! The recent fake news surrounding Julian Assange is nothing new. In fact, the character assassination against Assange by mainstream media is beyond any smear they have ever done against any Presidential candidate or leader in the history of journalism. It is simply a disgusting attempt to destroy the truth that Wikileaks brought to the public. Actually, the destruction of who Assange is has been going on since the Collateral Murder video . The U.S. has continuously used media to try and destroy the truth that Assange and Wikileaks lays on the table with smears. Almost every mainstream media organization has at some time distorted the Swedish allegations calling them charges and called his political asylum in the Ecuadorian embassy in London either being “holed up” or escaping justice. The problem is that by smearing Julian with outright lies, they are making their own organizations less trustworthy. I believe there is a fine line between supporting free speech and allowing reporters to flat out lie. Those who commit slander and libel against an individual can destroy organizations and lives. These people should be held accountable for spreading their rumors. I see nothing wrong with a good court case to sue those who destroy others. The whole piece is very well written as Assange is known for and contains very helpful information. I recommend reading the whole thing. When it comes to news articles that smear, one must ask themselves what the author hopes to gain by doing so. What is their ulterior motive? Is it government propaganda? What prompted them to lie? Oftentimes, when a person asks themselves these things they find that the article is not the truth. Unfortunately in the case of Assange, it doesn’t just make him look bad but may literally be a life and death matter. The US government will use any devices necessary to get their grimy evil hands on him to make him an example. By doing so, they intend to instill fear into all journalists who attempt to bring the truth to the masses. They are doing this to every US citizen by persecuting first amendment rights. So even if you don’t like Julian, fight for him for your own good & your childrens! Hold media accountable for fake news by boycotting those spreading disinformation and vet everything you hear and read.